AUDI has won the Total 24 Hours of Spa, the fourth victory for the German brand at the iconic race at Spa Francorchamps. 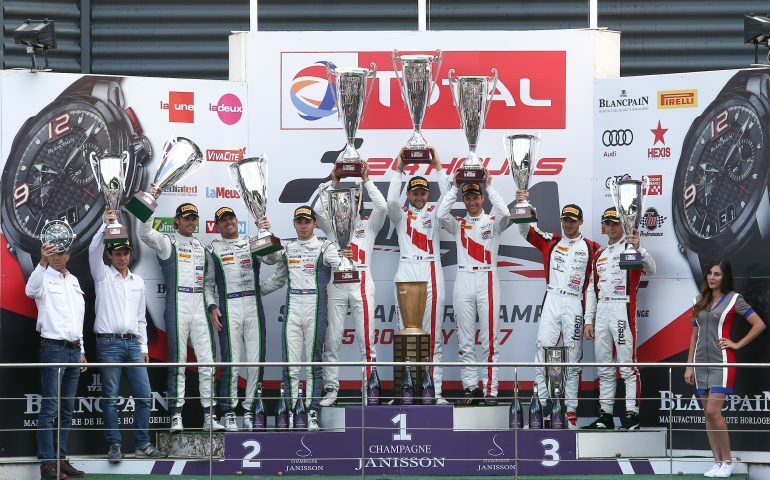 Audi had won the 2011, 2012 and 2014 Spa races and added the 2017 edition to the remarkable record of the Audi R8 LMS with Christoper Haase, Markus Winkelhock and Jules Gounon sharing the winning No. 24 Audi Sport Team Saintéloc entry. With second place for the #8 car, Bentley Team M-Sport made up for its misfortune in last year’s race at Spa. The #90 Akka ASP Mercedes rounded out the top three with the second consecutive podium finish at Spa for the French team. Mercedes-AMG took Pro-Am class honours with a strong performance by the #16 Black Falcon team while the #888 Kessel Racing Ferrari led almost throughout to score a commanding Am class win. The Belgian Speedlover team won the national class with its #991 Porsche.